Wageningen University and Research (WUR) leading university in QS World University Ranking/Agriculture and Forestry celebrated its 100th anniversary by planting so-called UniversiTREES at its partner universities. Trees planted worldwide create a forest of UniversiTREES that symbolically represents the international connections of WUR. On the occasion of 100 year anniversary of Wageningen University & Research a special event takes place at Szent Istvan University on 8 March 2019. Wageningen University & Research, the leading university in QS World University Ranking- Agriculture and Forestry, celebrates the anniversary by planting trees at its strategic partners. SZIU has the honour to be the host of planting the last tree. The biggest number of exchange students ever will start the Spring Semester on 4 February at Szent István University: 135 exchange students from 40 partner universities of 26 different countries. SZIU International and External Relations Centre along with Erasmus Student Network Szent István Egyetem (ESN SZIE) arranged a frenetic Orientation Week for the newcomers with official and cultural programs to ease their integration to Hungary. A colourful, tasteful and successful international dinner took place on 8 November with the participation of 17 cooking teams and nearly 200 guests. The event was organised by the Erasmus Student Network (ESN SZIE) with the assistance of Stipendium Hungaricum mentors and with the financial support of the International Relations Centre. The venue was provided by the Alma Mater Restaurant. An official International Opening Ceremony and Welcome Reception for the academic year 2018/19 has been organized by the International Relations Office at Szent István University (SZIU) on 5 October 2018. This year 1088 international students from 88 countries could start their studies at all study levels at SZIU within the framework of various scholarship programmes. 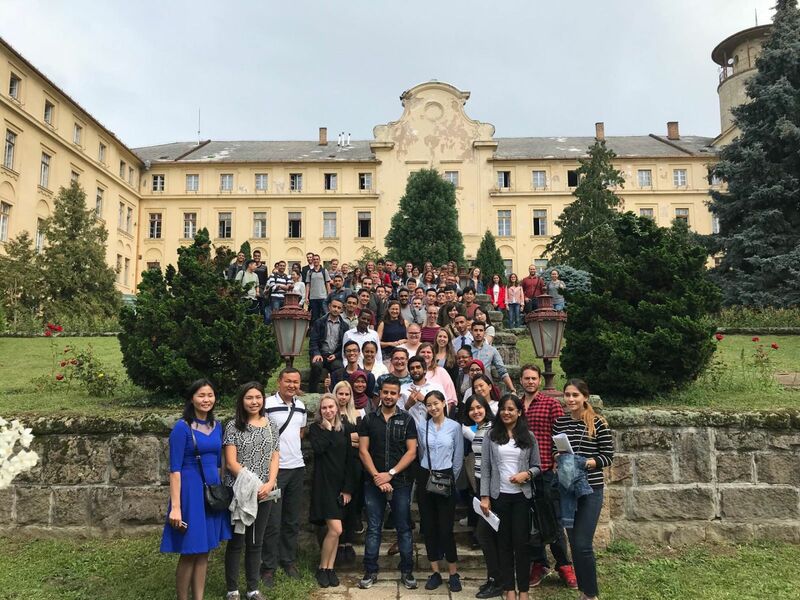 More than three hundred international students started their studies at Szent István University within a cheerful Orientation Week program on both Gödöllő Campus and Buda Campus. Most students arrived from France, Tunisia, Jordan, India, Syria, Mongolia, Spain, Germany, South-Africa, Turkey and so on.